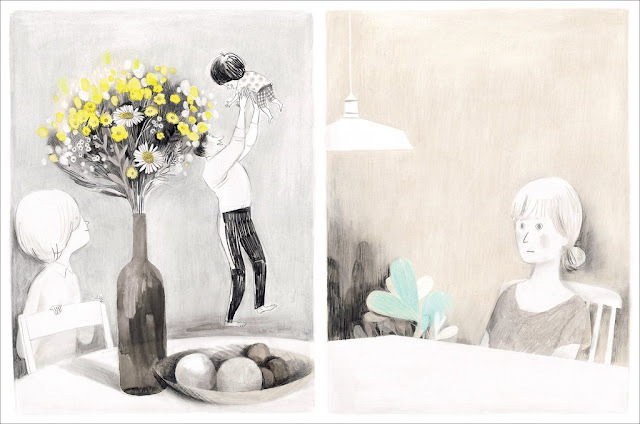 I am immeasurably excited about a new Isabelle Arsenault/Fanny Britt collaboration, the superb duo behind the wonderful Jane, The Fox and Me. This new effort, Louis Undercover, isn't due for release until October in the UK, but if you're attending TCAF, I believe early copies will be available there. 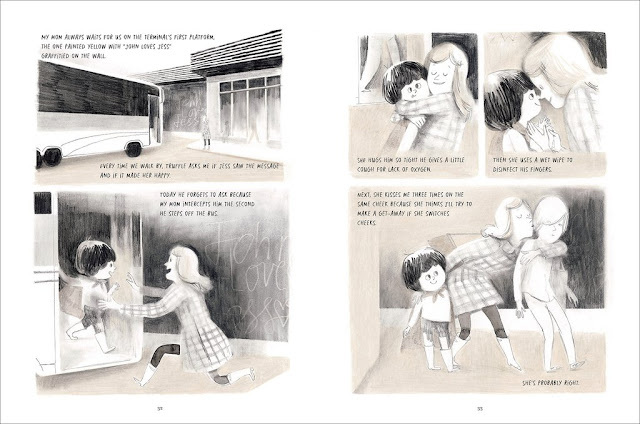 It's set to be another moving, gorgeously illustrated book about Louis, a young boy who shuttles between his alcoholic dad and his worried mom, trying,with the help of his best friend, to summon up the courage to speak to his true love, Billie. The kind of thing kids read with calm interest and adults need a box of tissues for. 'Louis's dad cries -- Louis knows this because he spies on him. His dad misses the happy times when their family was together, just as Louis does. But as it is, he and his little brother, Truffle, have to travel back and forth between their dad's country house and their mom's city apartment, where she tries to hide her own tears. Thankfully, Louis has Truffle for company. Truffle loves James Brown lyrics, and when he isn't singing, he's asking endless questions. Louis also has his friend Boris, with whom he spots ghost cop cars and spies on the "silent queen," the love of his life, Billie. I'm one of those people who loves having a good chunky book to read (it lasts longer) and at 576 pages, Uncomfortabily Happily certainly fits the bill. Roughly based on author Yeon-Sik Hong's own experiences, Uncomfortabily Happily is the story of a young artist couple who decide to leave the burdens of urban Seoul -rent, deadlines, the unrelenting noise of traffic- in order to live off the land. After upping sticks to rent a remote farmhouse deep in the rural hills, the duo set about striking a balance between college classes, dog raising, personal work goals, and small-scale farming. However, they soon discover their isolated new lifestyle comes with its own unique set of obstacles: depression brought on by the intense solitude, tramping through the snow on grocery runs, encroaching development. 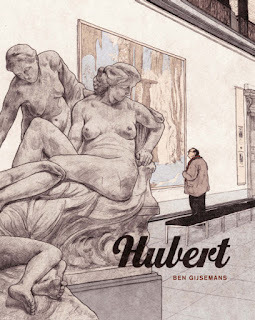 I'm looking forward to this book a lot; it seems to be about 2 people figuring out a way of living that works for them; learning to be content with what they have, and those are the kind of stories I am into today. 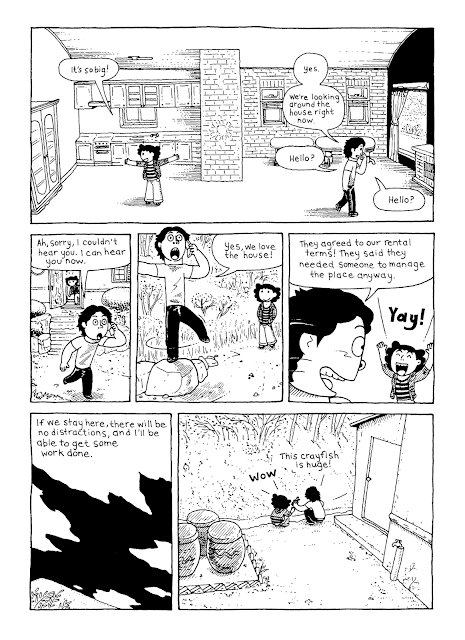 The other appealing factor for me is Yeon-Sik Hung's cartooning, which strikes that balance between rounded actual cartoonishness and fine lines that give it some grounding. Originally published to acclaim as a diptych in Korean, this edition marks a first-time English language outing, translated by Hellen Jo. There are some settings that are instantly fascinating to us all, and such is the case for me and underwater tales. Triple Caldecott winner David Wiesner joins forces with Donna Napoli in this literal fish-out-of-water tale. Fish Girl is a young mermaid, confined to a life as an attraction at a boardwalk aquarium while longing for the world beyond the tank. A growing friendship with an ordinary, human girl encourages her dreams of freedom and independence. The marrying of Wiesner’s rich visual imagination and trademark artistry with the magic of underwater vistas are sure to be a draw here. I came across Wesiner's work only recently via the charming and ingenious Mr Wuffles, so I'm eager to see what he conjures up here. 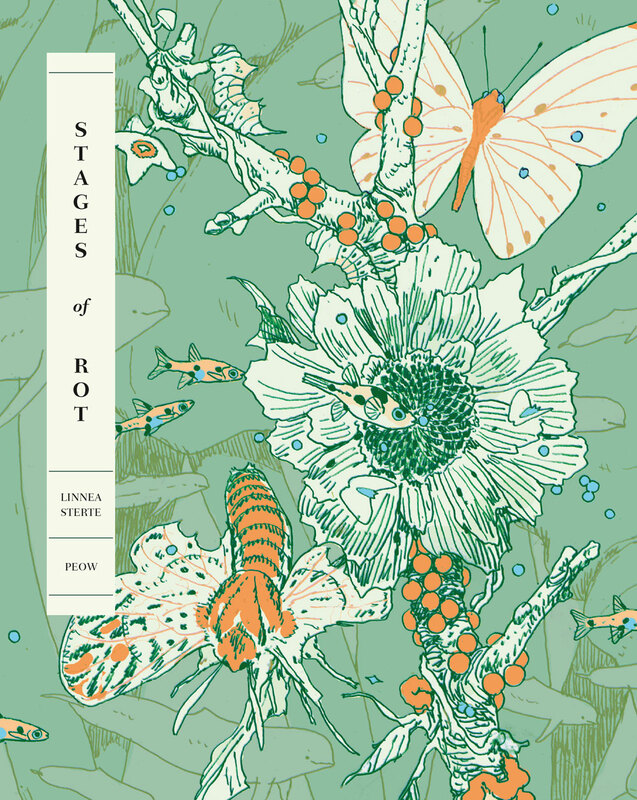 I'd also heartily recommend these 2 new offerings from Peow: Stages of Rot by Linnea Sterte, and Rule Break by Anna Syvertsson. 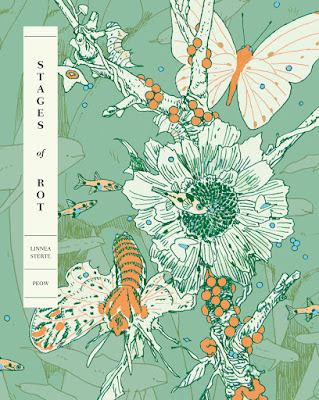 I've been following Sterte on Tumblr for a while and her work is amazing: Nausicca-era Miyazaki crossed with Moebius, with a great sense of colour, as she illustrates natural environments. I've no doubt this 152 page book described will be similarly impressive. You should go peruse her blog immediately, for a more effective grasp of what I'm talking about. Peow describe it as a ' fantastical sci-fi/fantasy is brimming with mystique and life, recognisable - but still very different from anything you've read before. Around the carcass of a whale gathers different forms of life to find food, shelter and to survive.' 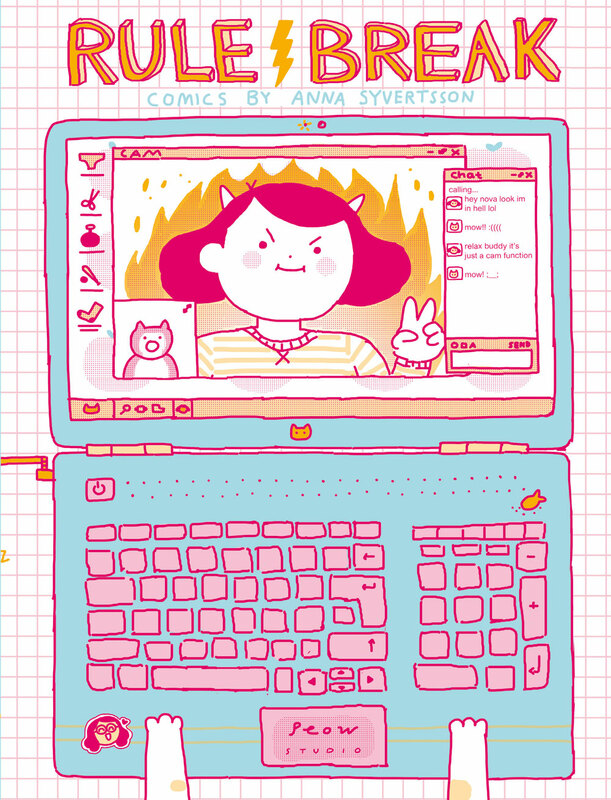 Peow's second release is from Swedish cartoonist Anna Syvertson, whom I recently briefly profiled for the AV Club: "Chances are you have come across Anna Syvertsson’s quasi-autobiographical comics, as they frequently go viral. They’re cute, the appealing cartoonishness consolidated further with animal avatars and characteristics, and they’re also very funny, with a definite streak of weirdness that crops up regularly to set them apart. They’re cosy, warm, and engaging with the kind of easy, relatable humor that appears effortless but is actually difficult to attain." 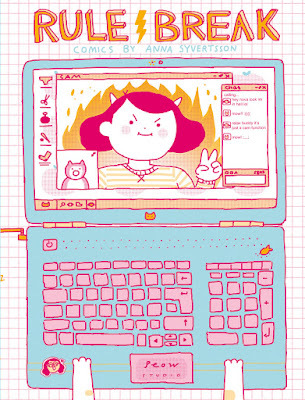 I am, basically, already a fan, so I'll be all over this first official print comic, Rule Break. Both books ship in May, and are available to pre-order now.